This is a die-cut Frontier Gas porcelain sign. This particular Frontier Gas sign is red with black and white text. 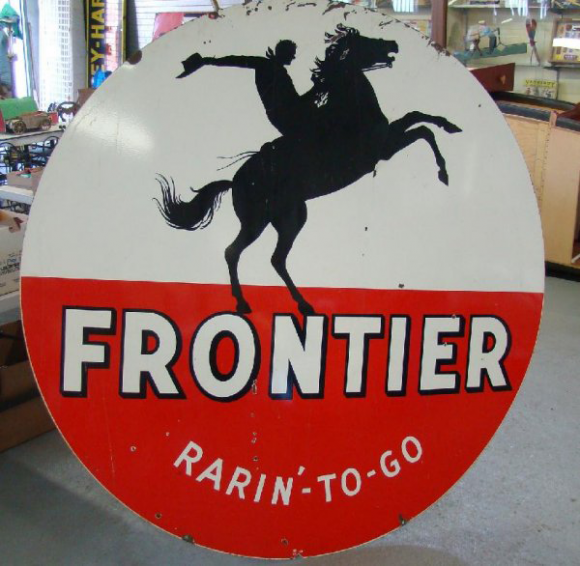 It reads, “Frontier, Rarin’ to Go!” and features a man riding a bucking horse while tipping his hat in the center.